Rental rates for Iowa farmland decreased by 5 percent in 2015, according to results from the Cash Rental Rates for Iowa – 2015 Survey conducted by Iowa State University Extension and Outreach. This is the second consecutive year of declining rates after a 15-year streak of increasing rental rates, accumulating a 9 percent loss since 2013. 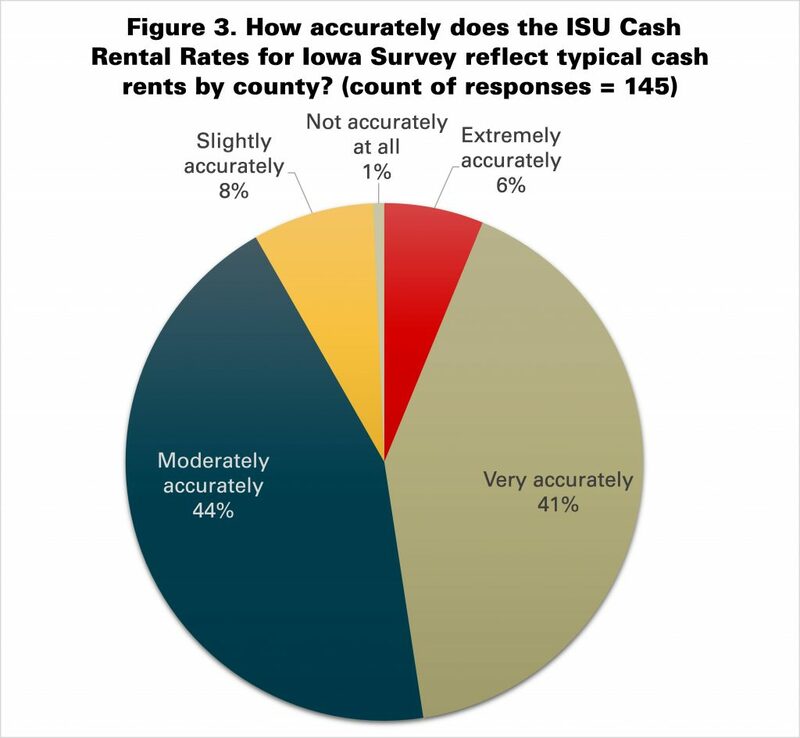 “Average rents were lower in all nine crop reporting districts,” according to Alejandro Plastina, assistant professor and extension economist with Iowa State University. “The average estimated cash rent for corn and soybean land in the state for 2015 was $246 per acre, a decrease of $14 per acre or nearly 5 percent from last year. 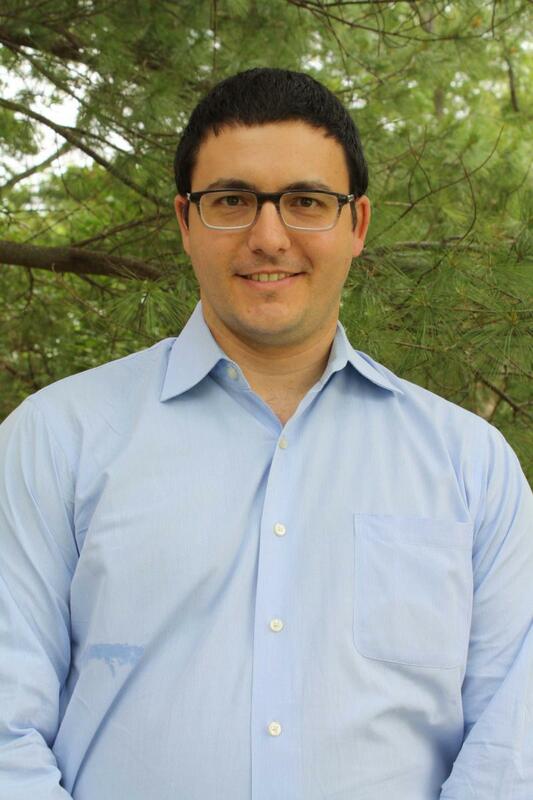 Low crop prices for the 2014 crop and small- to negative-profit margin forecasts for this year’s crop put downward pressure on rental rates,” Plastina said. 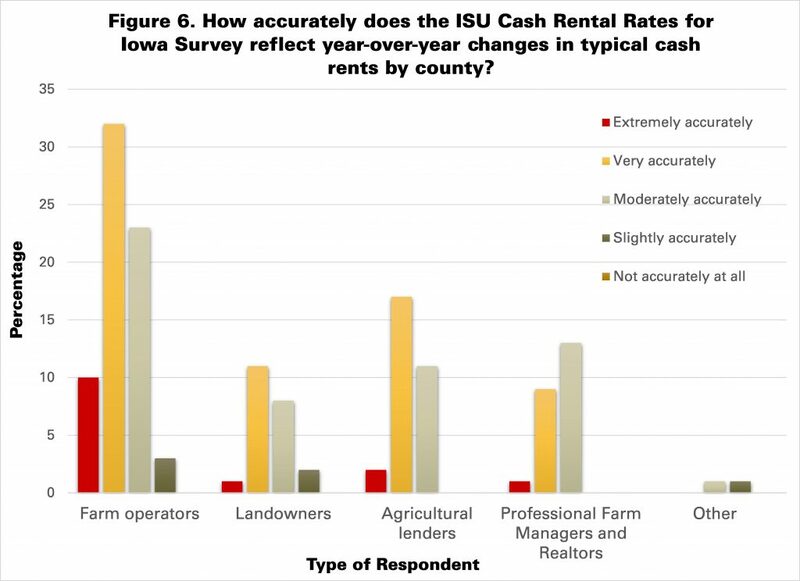 The largest decreases in land rental occurred in central and west central Iowa, at $24 and $23 per acre, respectively. Those districts had the highest rents among all crop reporting districts in 2014. 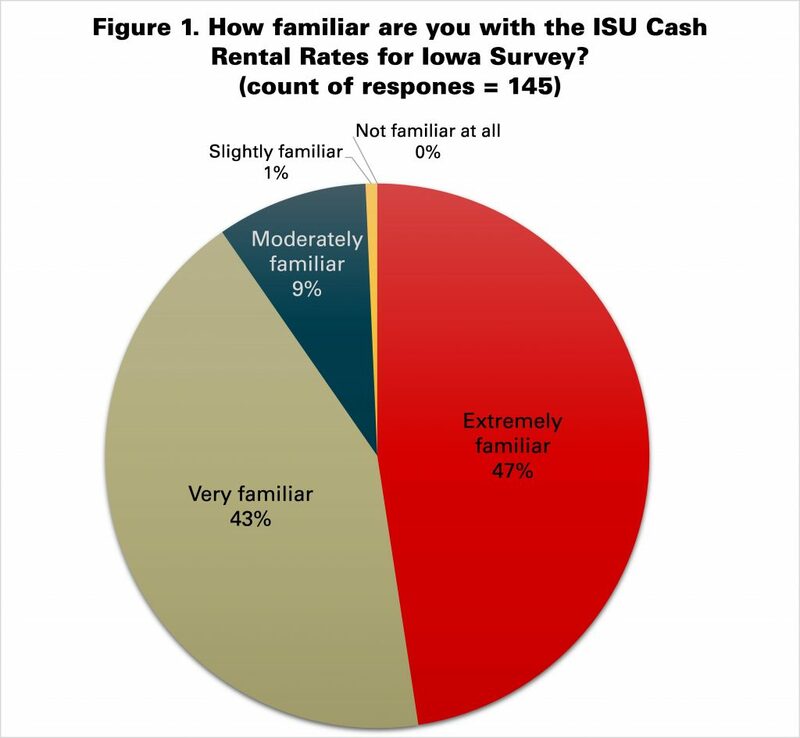 Northeast Iowa reported the highest average in 2015 at $273, and the lowest district value was $187 in south central Iowa. 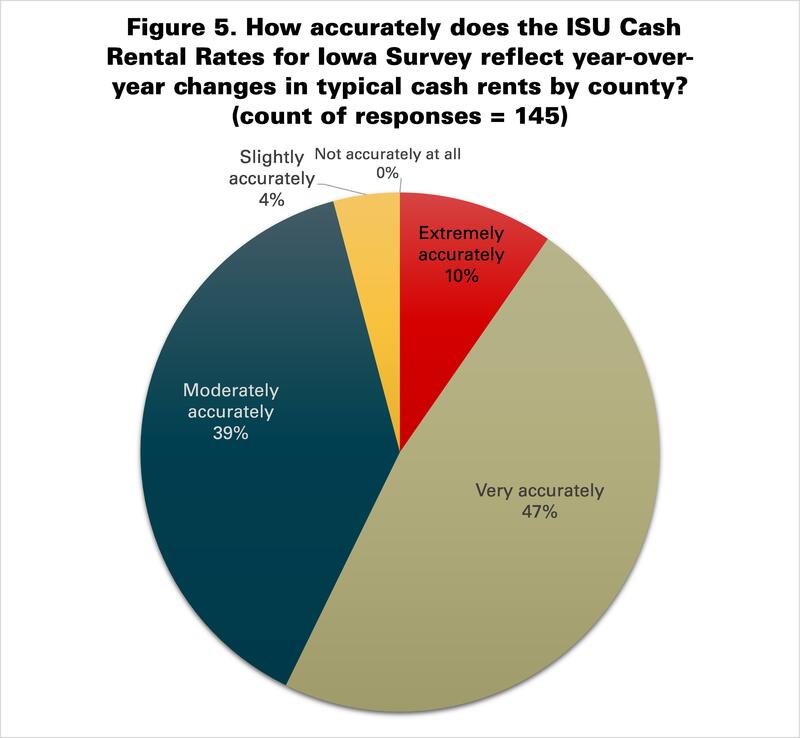 Grundy County had the highest average rent in the state, at $316 per acre. Plastina indicated the typical rental rates per bushel of corn yield, soybean yield and the average Corn Suitability Rating 2 points were computed for each county. In addition, typical charges for land growing oats and hay, for grazing pasture and corn stalks, and renting for hunting rights were reported. 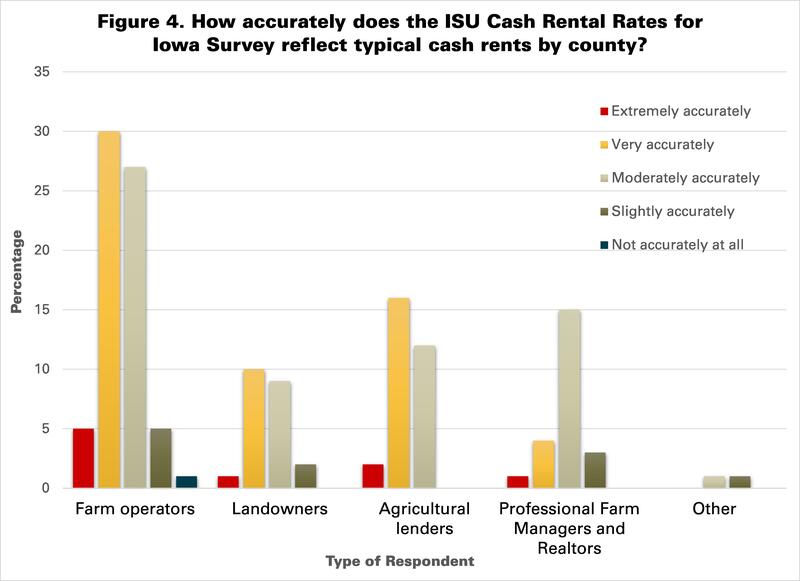 Rental values were estimated by asking people familiar with land rental markets what they thought were typical rates in their county. 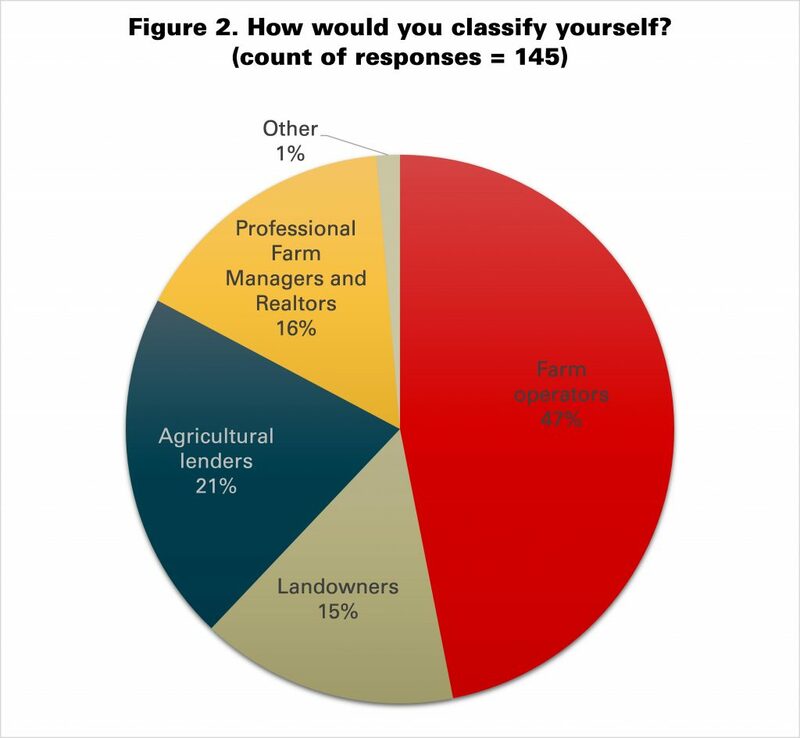 Of the 1,437 total responses received, 49 percent came from farmers, 27 percent from landowners, 12 percent from agricultural lenders, 10 percent from professional farm managers and 2 percent from other professionals. 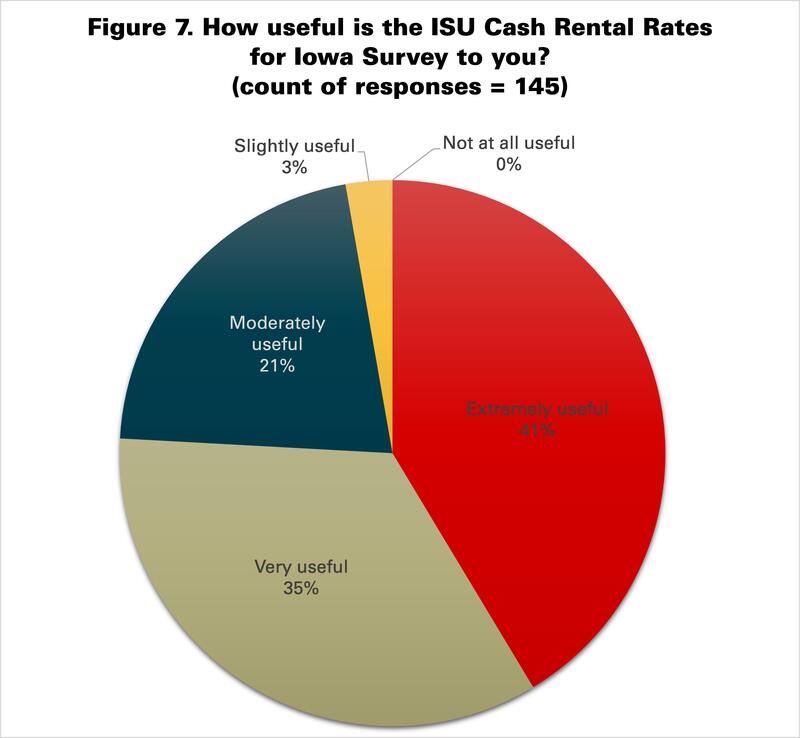 The Cash Rental Rates for Iowa – 2015 Survey is available online as a downloadable document from the ISU Extension and Outreach Store and Ag Decision Maker website. 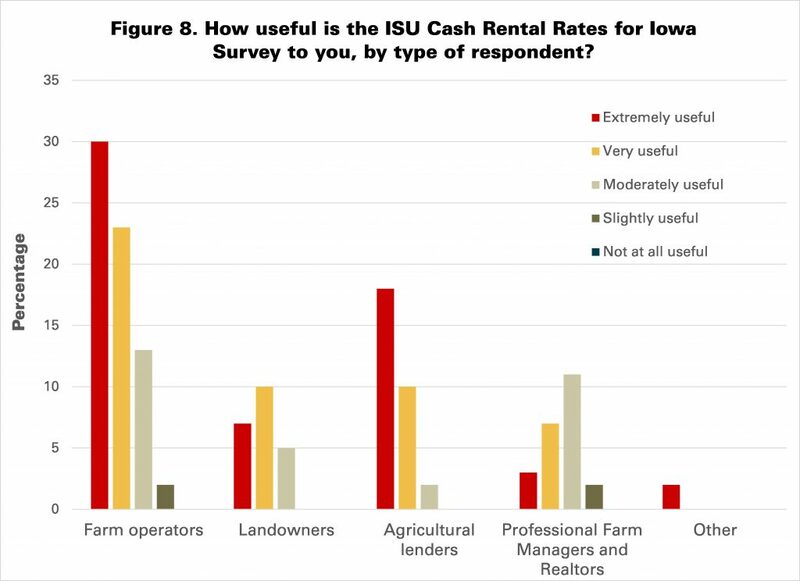 Other resources available for estimating a fair cash rental rate include the Ag Decision Maker information files Computing a Cropland Cash Rental Rate (C2-20), Computing a Pasture Rental Rate (C2-23), and Flexible Farm Lease Agreements (C2-21). 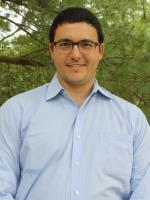 All documents include decision file electronic worksheets to help analyze leasing questions.